Clarkson Frederic Stanfield was born on 3rd December 1793 and died on 18th May 1867, Hampstead, London. Clarkson was the son of the famous author, actor and former seaman James Field Stanfield. Clarkson was named after Thomas Clarkson. Clarkson’s father knew Thomas personally and he was a trade abolitionist. Clarkson’s mother was an artist and had died in 1801 and often Clarkson was often told that he had inherited his mother’s artistic talent. For a short period he learned under a coach decorator but after a few months he aspired to become a sailor and joined a South Shields. In 1808 he was serving the Royal Navy. In 1814 he was discharged as he was not well physically. He then traveled to China in 1815 and came back with several sketches. Clarkson in 1816 was actively working as a decorator and scene painter at the Royalty Theatre in Wellclose Square, London. He and David Roberts were appointed at the Coburg Theatre, Lambeth and soon after that in 1823 he was the resident scene painter at the Drury Lane Theatre. His popularity grew tremendously from this point and he continued to do this job till 1834. 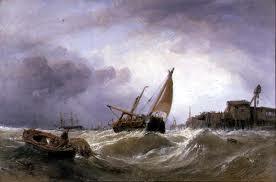 After the Christmas of 1834, he quit scene painting but he used to paint only for two people who were his good friends. One was William Charles Macready for whom he had designed scenery for his stage productions and another was Charles Dickens for whom he painted the theatrical scenes. Clarkson partnered with David Roberts and started producing several large scale diorama and panorama projects. The development that they made was “moving diorama” and “moving panorama”. It consisted of huge paintings that unfolded upon rollers like huge scrolls. They were complemented with sound and light effects and it had created anticipation among the people in the nineteenth century for cinema. 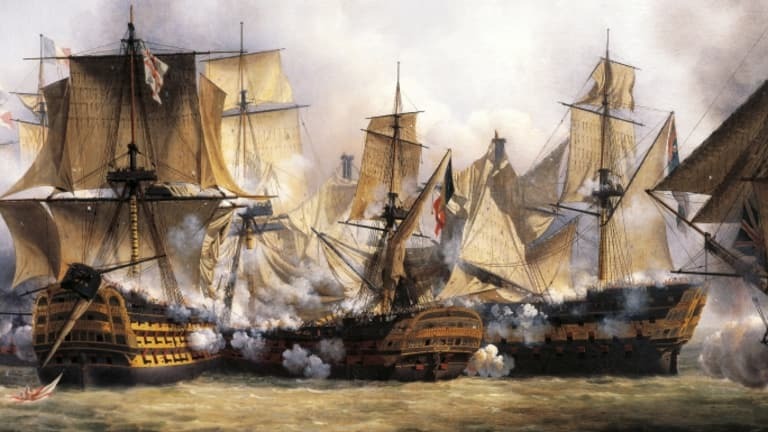 They both had total produced 8 such projects and two are noteworthy; “Bombardment of Algiers” and “The Battle of Navarino”. They both then toured in Germany and Italy and produced two more such projects. One was ‘The Military Pass of the Simplon’ which Clarkson produced only within eleven days and the other one was ‘Venice and Its Adjacent Islands’. They earned a fee of 300 euro. In the meantime, Clarkson had also developed his skill as an easel painter. He first exhibited his paintings in the Royal Academy. He was one of the founders of the Society of British Artists and its presidents. 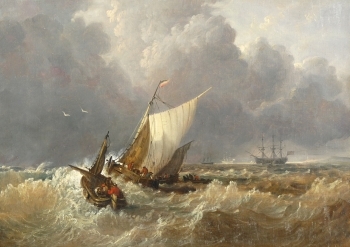 He exhibited his painting ‘Wreckers of Fort Rouge’ at the British Institution and it earned him 50 guineas. He was also elected as the Associate member of the Royal Academy and then became a full academician. King William IV also took interest in his paintings and admired his painting “St. Michaels Mount” at the Academy and later commissioned his two paintings “Opening of New London Bridge” and “The Portsmouth Harbour”. 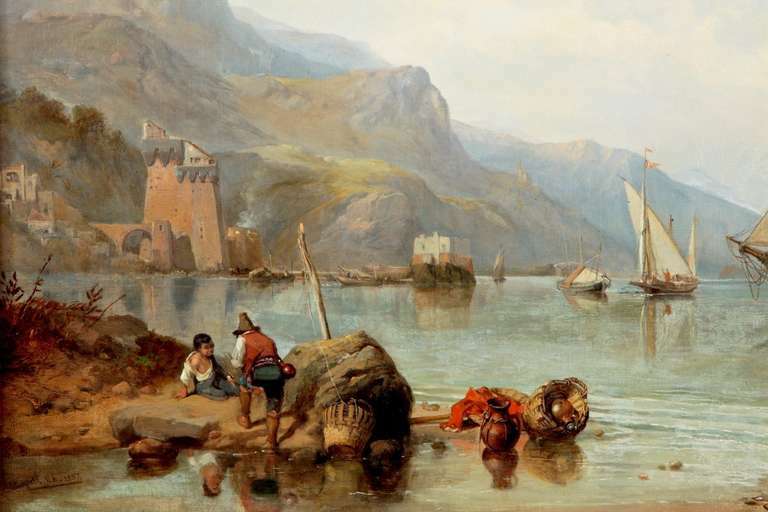 ‘The Castle of Ischia’ which is now in Sunderland Museum and Art Gallery. He was known for his scene painting and the way he used colors in his painting. There was something spectacular in every painting he did and stood out in its own way. His eldest son George Clarkson Stanfield was trained him and painted similar subjects like his father. His grandson, Joseph Richard Bagshawe also was a marine painter.